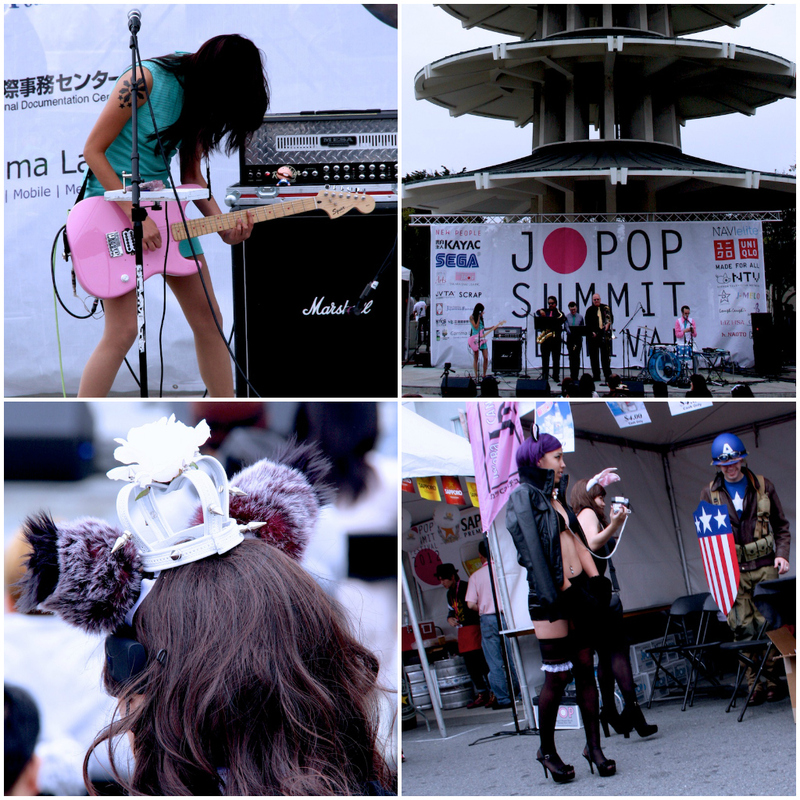 On Saturday, August 25th, Jimmy and I went to the J-Pop Summit Festival in Japantown. 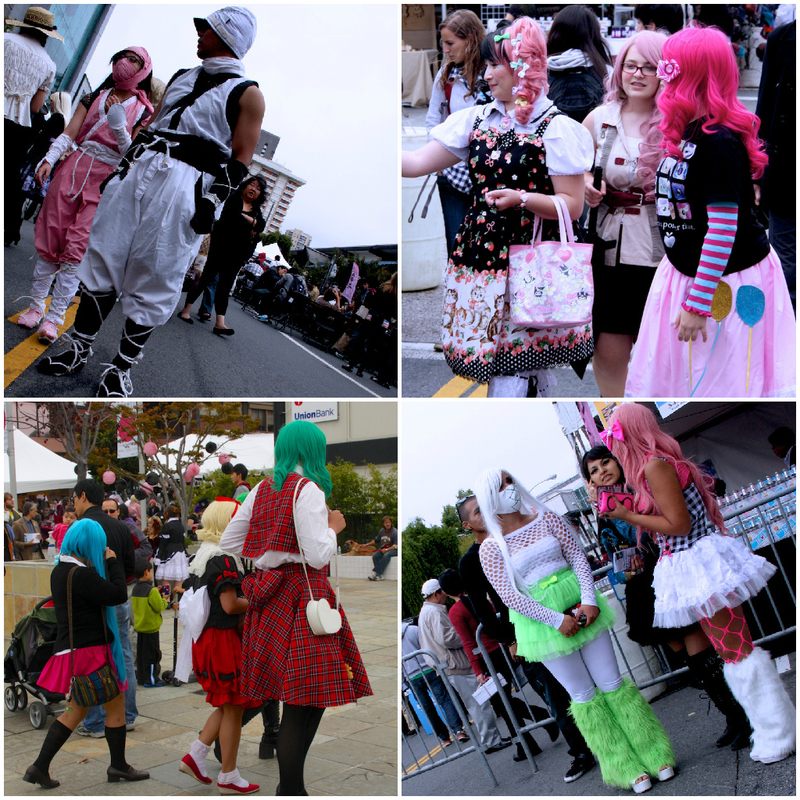 The J-Pop Festival is "a pop culture-themed street fair that covers the grounds of Post Street from Webster to Laguna and the Peace Plaza of Japantown, San Francisco. 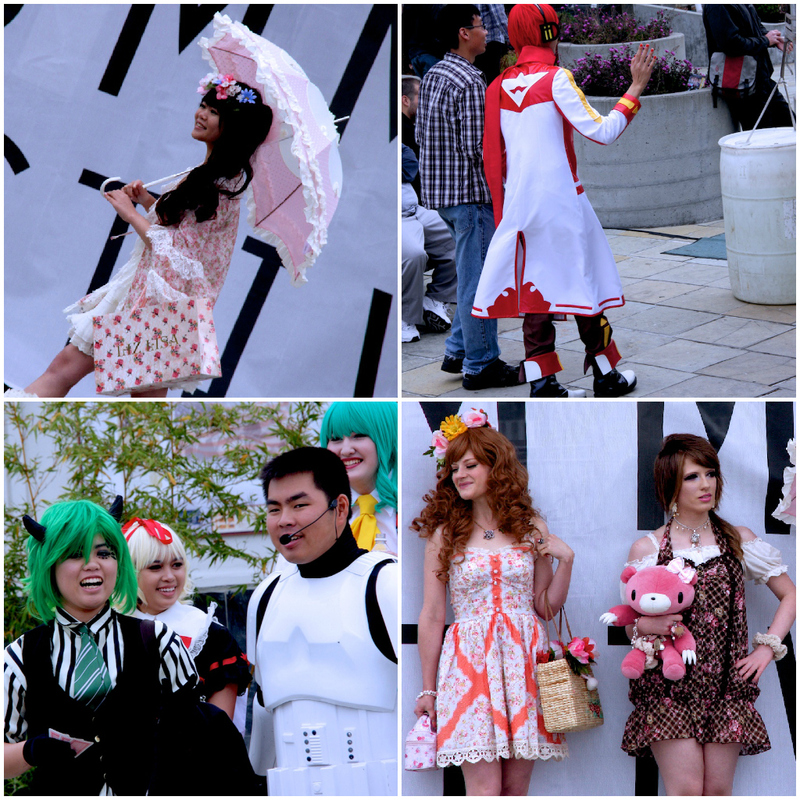 "The theme is often related to anime, harajuku or kawaii styles or fashion. a little more edgy than cute. 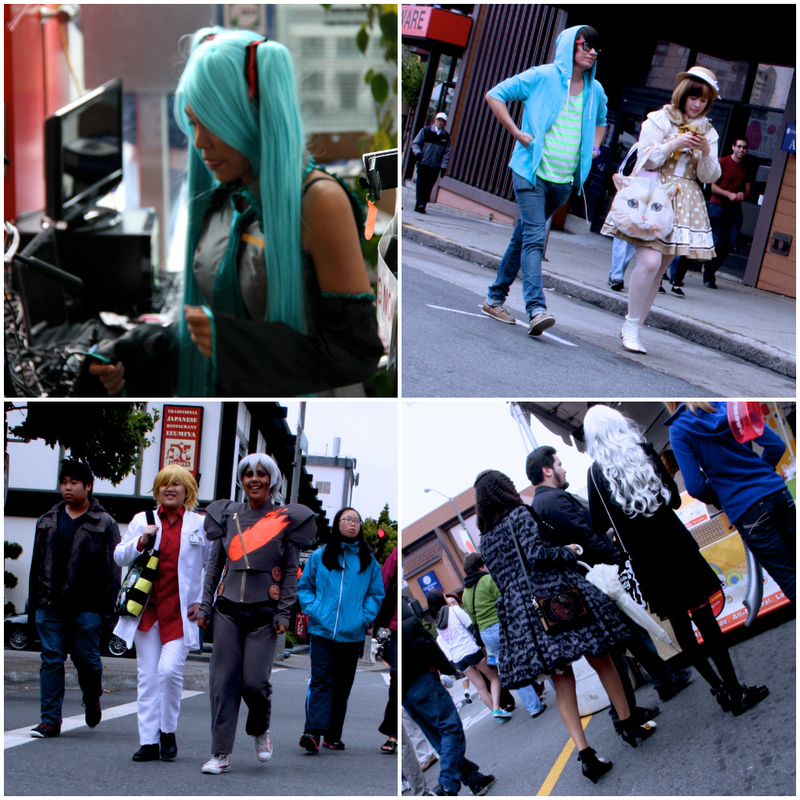 costumes, wigs and short dresses. Jimmy and I are trying to get in the habit of going on a long walk one weekend day. There's so much to explore in this city and every weekend there's a plethora of free events happening. what amazing outfits - you are so lucky living in such a vibrant city - enjoy your walks. that is so much fun. you get to have all the fun now that you live in the city.